Achillea millefolium - yarrow - Natural Health - Lancaster and Preston . 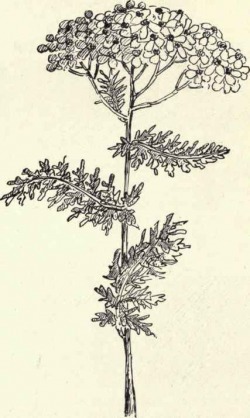 The Genus name (Achillea) is after Achilles, who was reputed to have used yarrow to heal battlefield wounds during the siege of Troy. The species name, millefolium, means a thousand leaved. The aerial parts (leaves and flowers just before the flowers begin to open) are used in herbal medicine. Yarrow is an excellent diaphoretic and therefore is used in the treatment of colds and flu; mix equal parts of yarrow, peppermint and elderflower. Add 1 tsp of the dried mix per cup of boiling water. Infuse for 10 minutes. Drink one cup 3 times a day. 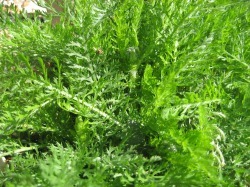 Yarrow is also a cardiovascular tonic, thereby toning the blood vessels and reducing fragility.